As much as we would all like to spend the winter months hibernating, unfortunately work doesn’t allow us this luxury. Whether your job is based outdoors or indoors, it is important to make sure you stay safe during these winter months. 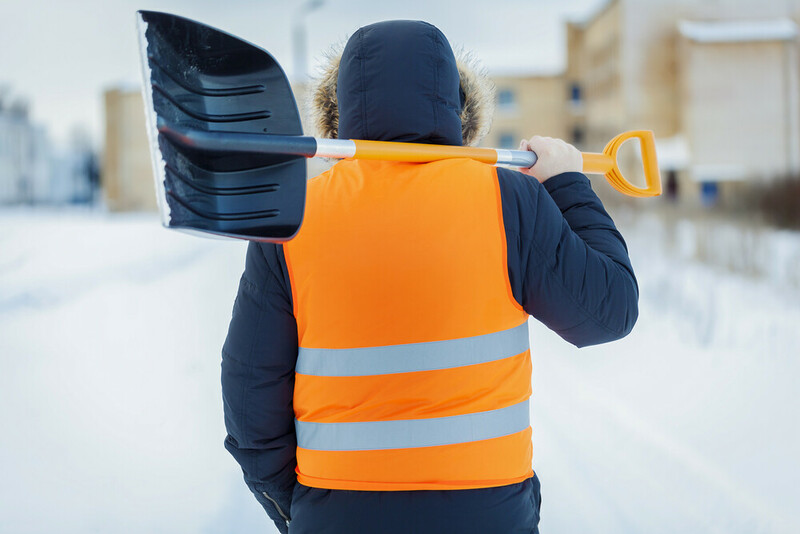 Clothing in cold weather is incredibly important for everyone, however the correct clothes are even more important if your job requires you to be outside for an extended period of time. Ensure you have a suitable coat or jacket, preferably tightly-woven and wind and rain resistant. Underneath clothes should be light but warm, and thermals are a must. Sturdy boots with a good tread are essential for the wet and icy winter weather. To save buying a new pair, you can take your old boots to a cobbler and get them re-treaded at a fraction of the price. When you are out and about in the winter, it is important to remember that visibility can be decreased. The days get darker earlier, often meaning that you are heading to and coming from work in the pitch black. Similarly, severe winter weather, like snow or fog, can also cause decreased visibility. You must ensure that you are as noticeable as possible to both road users and pedestrians. Try to avoid wearing too many dark items of clothing and you may also want to consider wearing a high visibility vest, especially if you will be working outside. To avoid working during the darkest hours of the day, you may want to consider rearranging your schedule, so you start work earlier in the morning to take full advantage of sunlight. If your work involves both outside and inside work, planning is key. Try to complete as many of the outdoor jobs prior to winter setting in, leaving the indoor tasks for when the weather is colder. If the weather becomes too dangerous, stop working. If your job allows then work from home to avoid travelling in trepidatious conditions. However, if your job is predominantly based outside then you will need to stop work until conditions become safer. During the coldest months of winter, your normal office heating may not cut it. Using space heaters is a great way to add extra warmth to the office, however you must be incredibly careful. Ensure that anything flammable, e.g. rugs, clothing and curtains, are kept at least 3 feet away from the heater. And remember to switch off the heaters before you leave the office.